Epic history, beautiful beaches and one of the best cuisines you can possibly taste. Renting a boat in Turkey will give you an opportunity to experience all of that at once. The Turkish Riviera is gaining popularity among sailors, who can explore what it really means when east meets west. Excellent weather conditions with no currents and tides are also perfect fit for laid-back and chilled sailing vacation. Sailing in Turkey requires having a skipper licence and also E-Visa with valid passport. There are more than 400 boats of various types in 20 marinas available to rent. 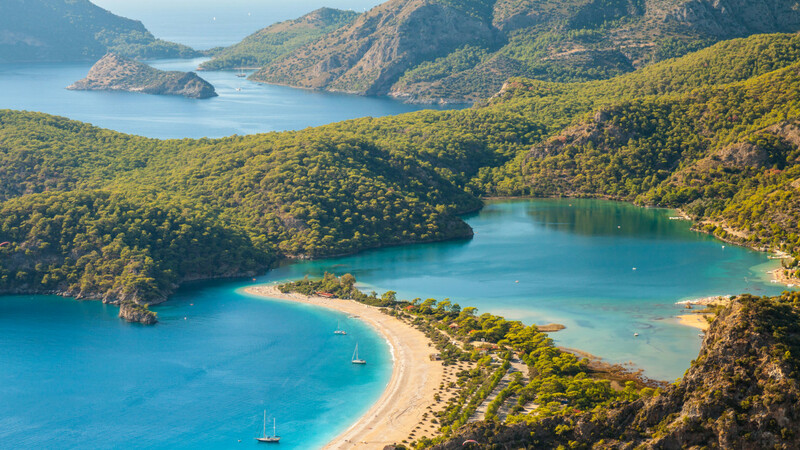 The Lycian Coast located in southwestern Turkey and lining the Aegean Sea makes up a big part of the Turkish Riviera. Its landscape is characterised by rocky cliffs of pine forests and small sandy bays. It is also a place where famous maritime cities such as Bodrum or Oren occur. Another cities sailors should not skip while renting a boat in the Turkish Riviera are Marmaris and Fethiye. During the summer months Marmaris change into busy night-life spot. On the other hand, Fethiye is a great place for scuba-diving. Sailing season lasts from April to October, when all services and amenities are open to use for holiday period. Turkey is place where you can get a lot for your money, so exploring this beautiful and interesting country on the boat will definitely be an unforgetable exprience. The most popular destinations to rent a boat in Turkey are Marmaris, Fethiye a Gocek.